25 March 2013 – It’s Tea Time!! I can’t believe that Easter is almost here!! The year is just flying by!! At Stamp Club earlier this month, we had a play with the new Borders Scoring Plate in the Seasonal Catalogue. 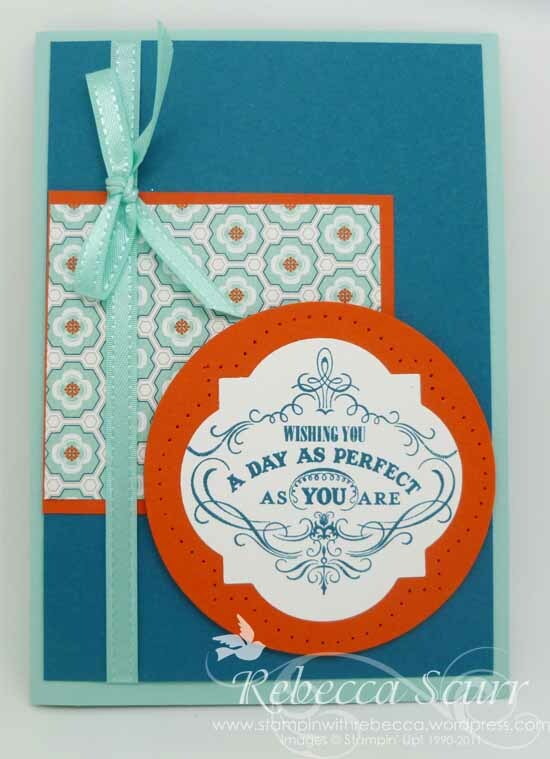 You can score gorgeous borders and patterns on to cards and scrapbook pages. I found a lovely card on Pinterest by Suzette here. I thought it was gorgeous and that we could give it a go. I didn’t have the same paper, so I went with Tea for Two DSP. I love this floral paper in it!! When I stamped the flowers from Just Believe stamp set onto the background, I actually stamped off first and then stamped it, so that it was only just a shadow of an image. I hope you like it! Please leave me a comment below. Accessories: Big Shot, Labels Framelits, Simply Scored, Simply Scored Borders Scoring plate, flower trim, very vanilla seam binding ribbon, Natural trim ribbon. 17 March 2013 – It’s a Pool Party!! I have recently rediscovered the colour, Pool Party. It goes so nicely with More Amore Specialty DSP in the current seasonal catalogue. I wanted to use my new Hearts a Flutter framelits as who doesn’t love a good banner!! I was inspired by Andi Potler on Splitcoast Stampers, here. 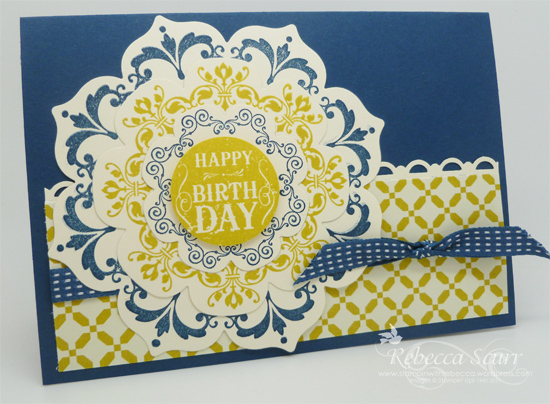 I made a few changes and I used the new ovals framelits and the gorgeous Two-tone ribbon. Seeing as it was coming up to Valentine’s Day when I made this card, I used a stamp from Word Play stamp set. 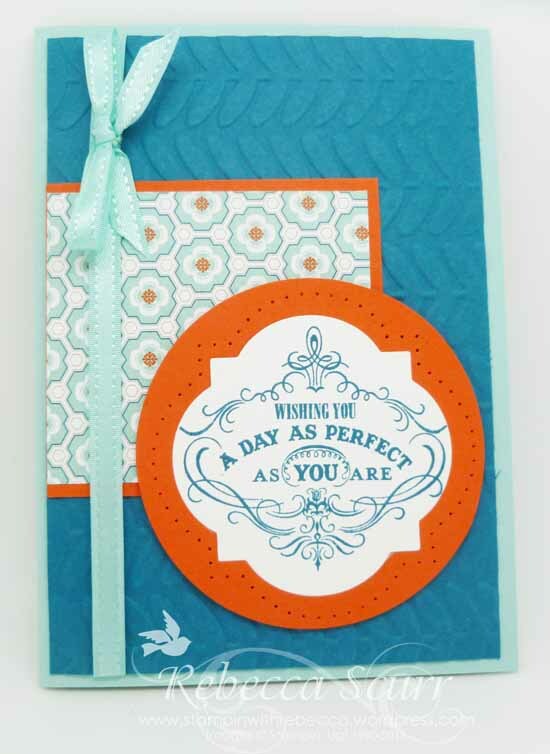 And of course, who can resist the opportunity to use the honeycomb embossing folder! Not me!! We did this card at stamp club and I had a few kits left over, so I made them up again but I used the O’Hello stamp set from the seasonal catalogue so I could use it for a birthday card as well!! I hope you like it. 3 February 2013 – More Amore DSP, I love you!! I love the More Amore Designer Series Paper, especially the two Laser cut sheets!! So pretty!! 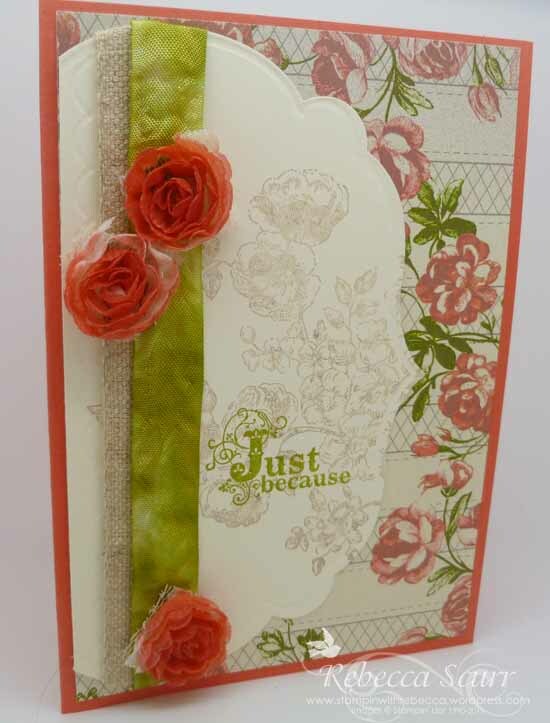 I found a gorgeous card on Pinterest, by Amy K, which you can see here. 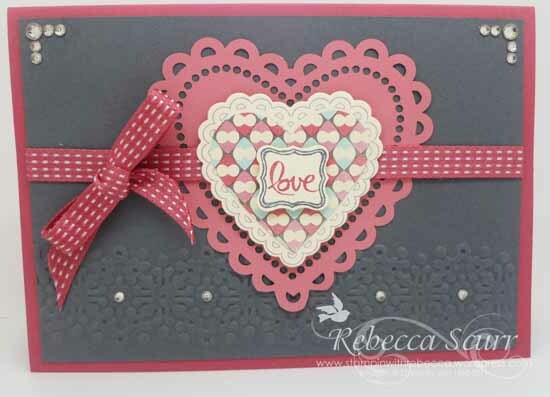 I loved the look of the laser cut heart with the stamped heart from the new stamp set Hearts a Flutter. I stamped it with Basic Gray and it looks so delicate. 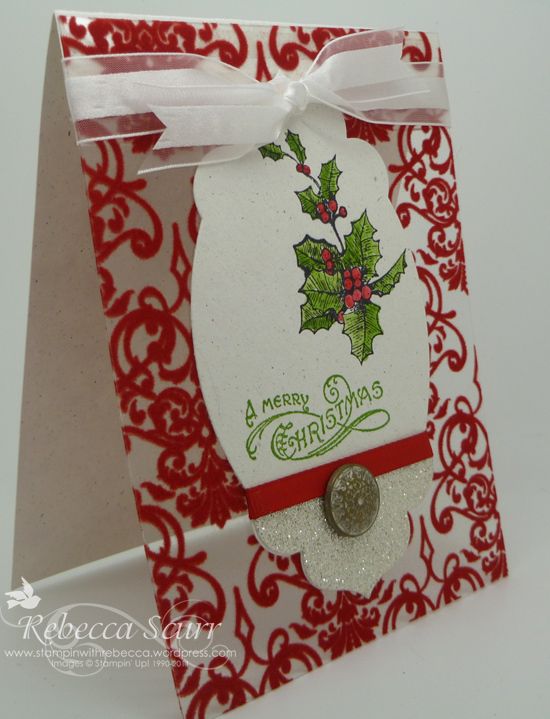 I decided to change it a little and used the Delicate designs embossing folder across the bottom. Can you spot my Sale-a-bration freebie? 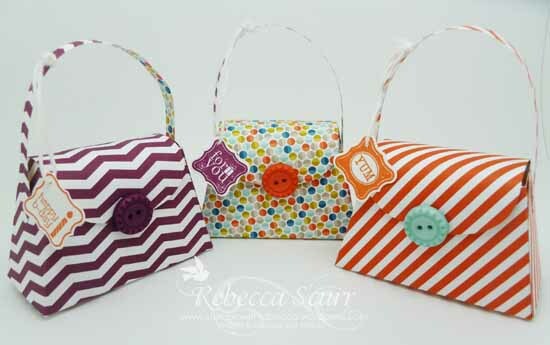 Yes, it’s the cutest punch ever, the Petite Curly label punch!! Cuteness, indeed!!! I’m very happy with how it turned out, what do you think? Please leave me a comment at the bottom. 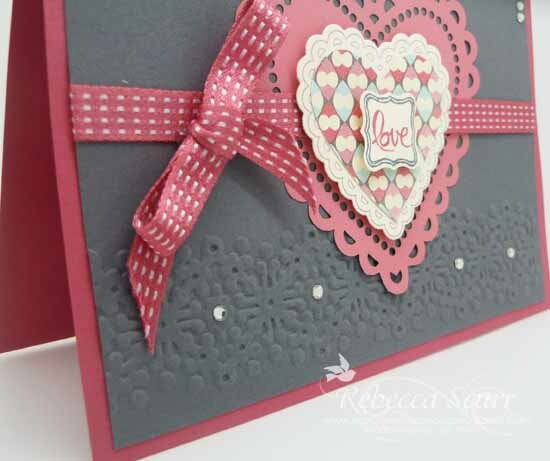 Stamp Set: Hearts a Flutter, Ciao, Baby! 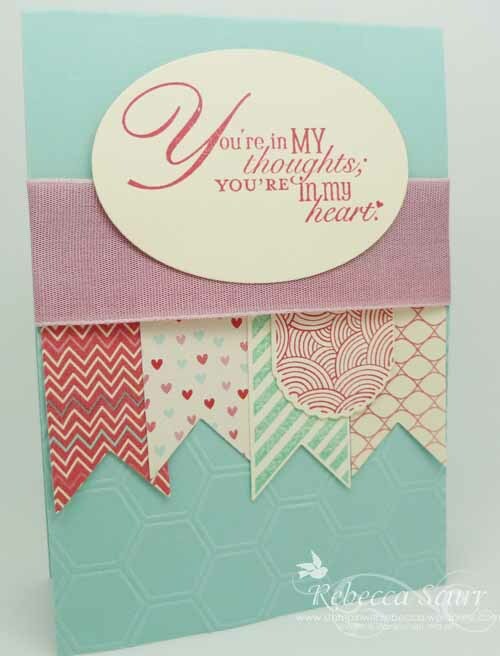 Accessories: Big Shot, Delicate Designs embossing folder, Hearts a Flutter Framelits, Primrose Petals satin stitched ribbon, rhinestones, Petite curly label punch, full heart punch. 2 January 2013 – Cuteness!!! I recently got the Lovely Little Labels stamp set and the matching Little Labels Punch Pack and they are so cute!! 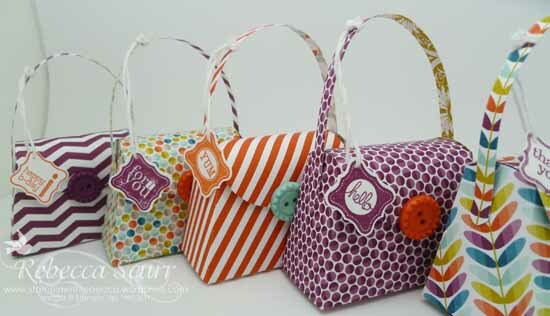 They are teeny, tiny stamps and punches but oh so cute!! 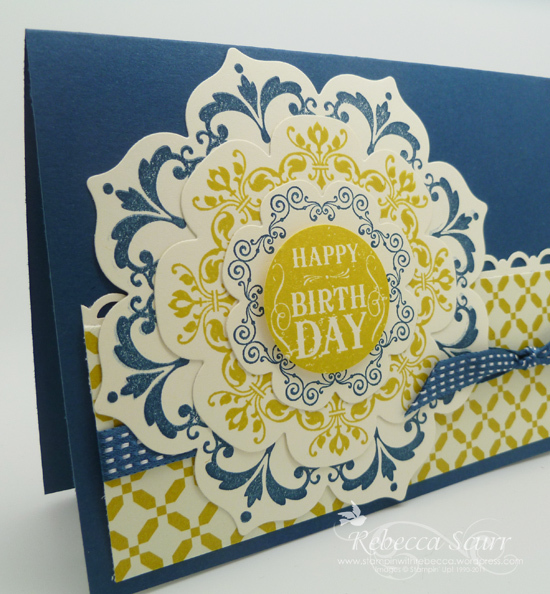 I cased a card from Too Cool Stamping but made a few changes. I love the Elegant Butterfly punch as well. No more fussy cutting around butterflies for me! My current favourite paper is the Birds of a Feather DSP. It matches nicely with the 2012-2013 in colours. I just love how everything SU! matches with each other!! I put the greeting onto a circle punch to give it some ‘pop’ . Accessories: Big Shot, Fancy Fan embossing folder, Little Labels punch pack, Midnight Muse Stitched Satin Ribbon, 3/4″ circle punch. 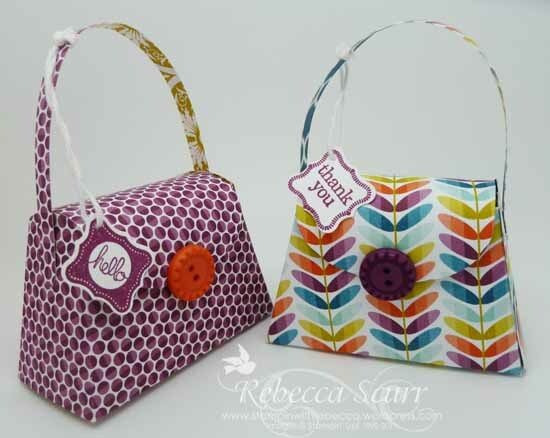 If you would like to order this stamp set and co-ordinating punch pack, please contact me at stampinwithrebecca@yahoo.com.au or 0408 193 792. 29 October 2012 – Candlelight Gorgeousness!!! I am in love with the Candlelight Christmas Specialty DSP in the Holiday Catalogue. It is just gorgeous!!!! There are two sheets of flocked window sheets which are just beautiful!!! I cased today’s card from fellow Stampin’ Up! demonstrator, Stephanie Robnett on a demo only facebook group. It’s not exactly the same but that doesn’t matter. I like it!! I really love the Apothecary Accents framelits which I used to cut out the centre piece. They can even cut through the glimmer paper. I coloured the flowers using blenders pens and ink pressed into the lid of the ink pad. I’m not very good at doing shading but I think I did ok on this one. Accessories: Big Shot, Apothecary Accents framelits, White organza ribbon, real red grosgrain ribbon, vintage brads, glimmer paper, blender pens.